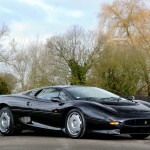 Jaguar XJ220 for sale at March Historics at Brooklands. 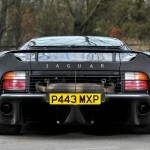 A Jaguar XJ220 – once the world’s fastest production car – stars at Historics at Brooklands on March 9 2013. 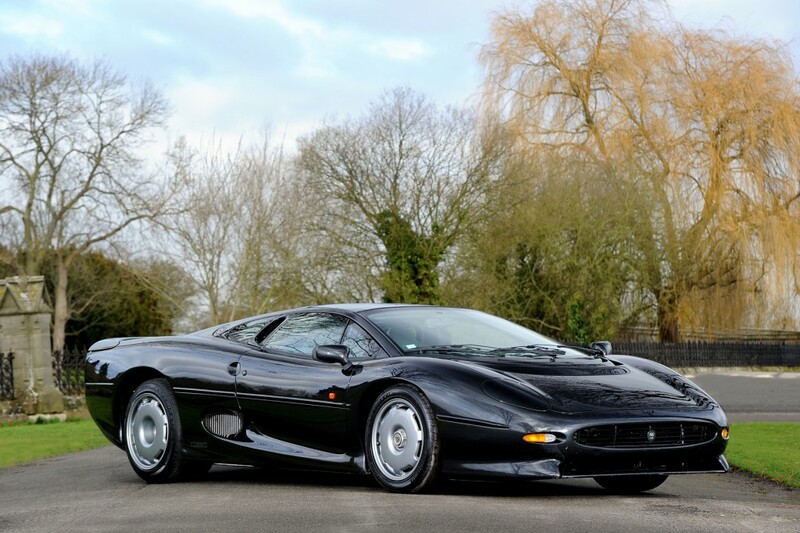 A fine example of Jaguar’s fastest-ever road car and, for two years, the quickest production car in the world – the Jaguar XJ220 – is one of the highlights at Historics at Brooklands’ classic and collector car auction on Saturday, March 9. In its two-year production span, 281 of the rakish, twin-turbo V6, 542bhp two-seaters were hand-assembled in Oxfordshire, and sold to the lucky few at a heady price tag of £470,000. 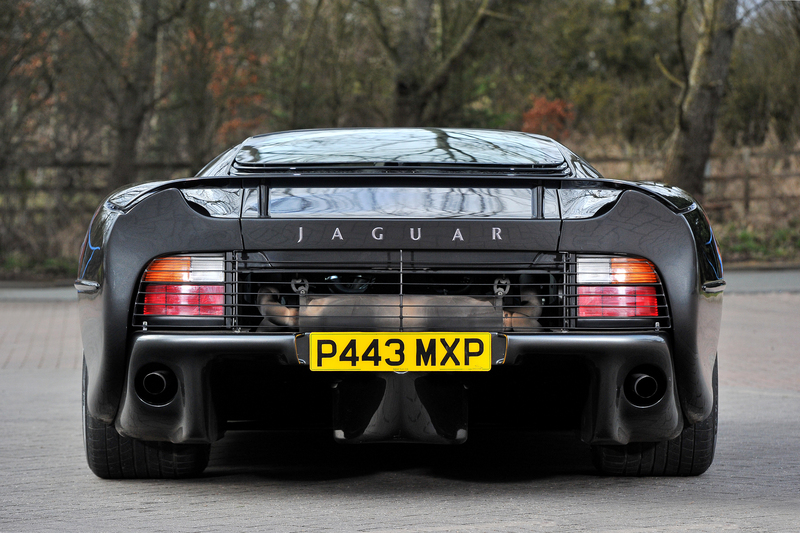 When introduced in 1992, it was fitting that the XJ220’s emergence marked 40 years since the now-icon of Jaguar classicism, the XK120, achieved 120mph. 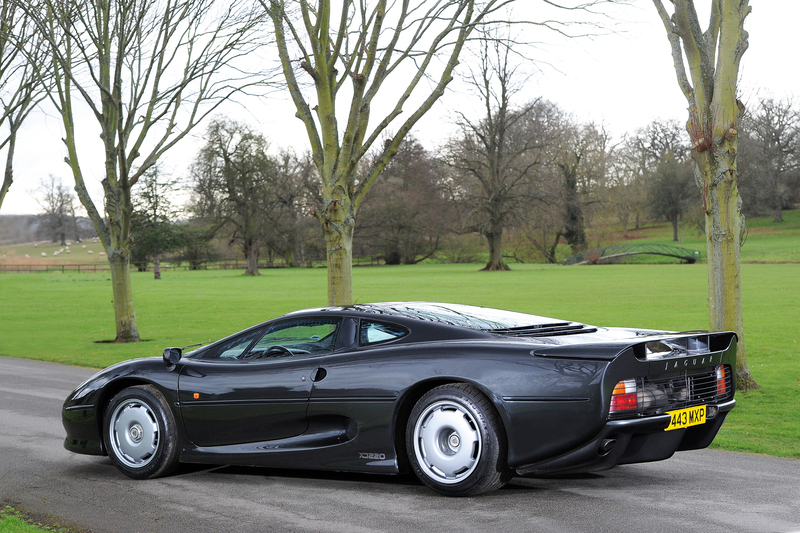 Today, the XJ220 has taken its place in the supercar hall of fame, its reign as the fastest-production car being eclipsed by the McLaren F1 in 1994. 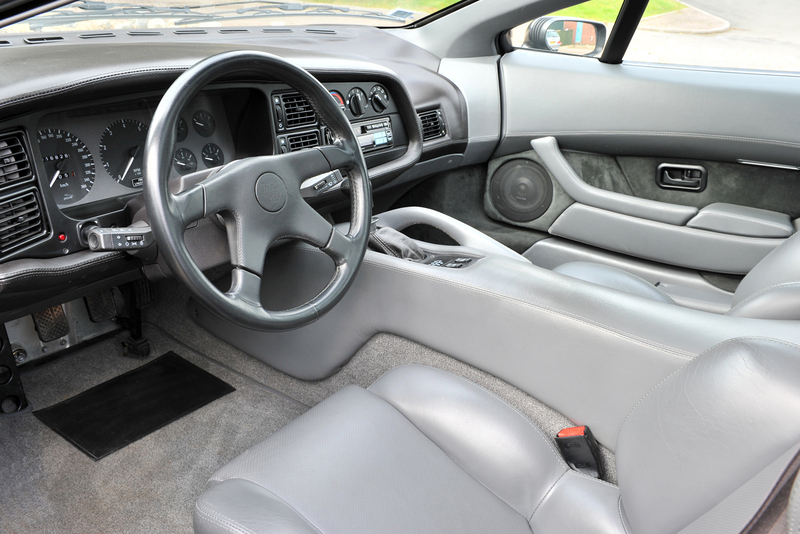 This left-hand drive, one owner from new, 16,000km XJ220, manufactured in 1994, shows its swooping lines superbly in jet black coachwork, and recently returned from France where it has been enjoyed for the past 19 years. Most recently it has been nurtured at Jaguar XJ220’s definitive authority, Don Law Racing in Staffordshire, where over £25,000 has been lavished in preparation for its sale at Historics. 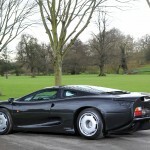 “The XJ220 is a rare icon of Jaguar heritage and a worthy investment. 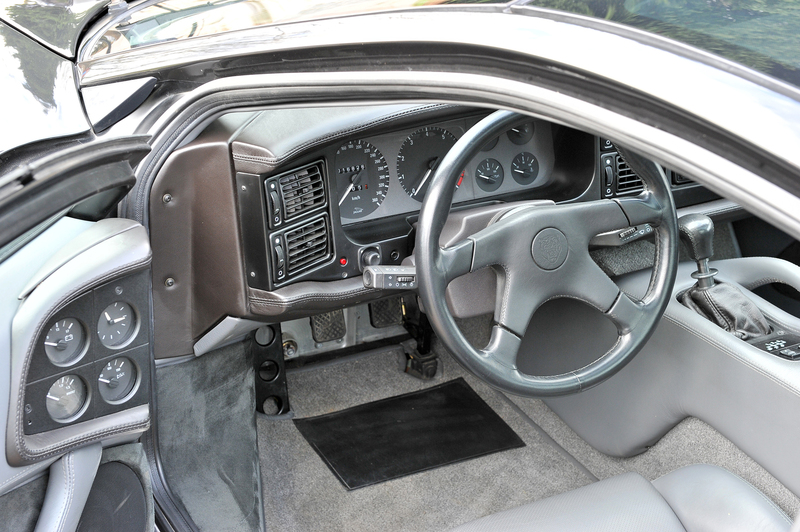 Moreover, one would be hard-pressed to find an alternative car at this price that would come close to the XJ220’s electrifying performance and 200mph+ top speed”. 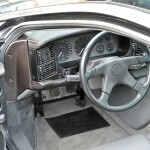 The car is sold with a full history file including the original release note from the Jaguar factory on collection day, and the leather wallet containing all handbooks and owner’s manuals. Viewing of all 100+ consigned vehicles and automobilia is at Brooklands on Friday, March 8, with the auction of automobilia commencing at 10.30am on Saturday, March 9, followed by motor cars at 1.00pm. For more information call 01753 639170, e-mail: auctions@historics.co.uk, or see the website, www.historics.co.uk.